Todays quick and handy little free PSD is Free PSD: Flat UI Kit. These little gems come with a nice bright and flat color scheme and a nice little 3D beveled edge, just to let you know they are super hipster. 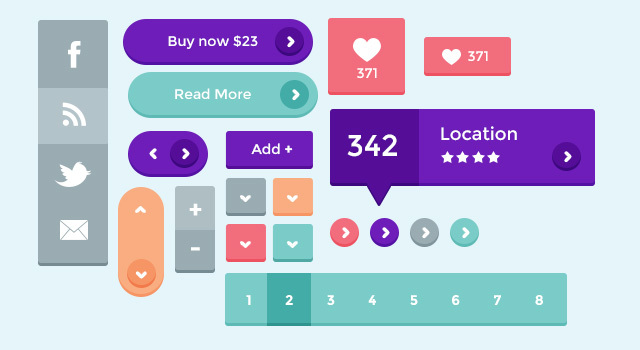 Flat UI Kit – your daily free PSD sorted. Today’s freebie is a quick and simple black button set of 2! These are quick and easy to use in your next design. Just grab these little suckers and add them to your site! BAM!! And the buttons are added!